As a king, Dhruva conducted ceremonies to give generous charity as a means to worship the Lord of Sacrifice who is the essence of all wealth, all rituals, all gods, and all endeavors, and who bestows the fruits of all efforts. By this fiercely powerful devotion he worshipped the Flawless Supreme Soul in all Souls, and was able to actually see the Supreme Soul as the soul of all things. Dhruva’s version of “sacrifice” (yajña) was not slaughtering animals. Its a bit of a bad idea though, since the animal is not exactly just an insentient bit of wealth, but is also a living creature who doesn’t want to get killed. There are far better ways to offer sacrifice (yajña). Dhruva’s way was to give enormous amounts of wealth away to his citizens, on behalf of Viṣṇu. He would hold a huge, delightful festival and ceremony honoring Viṣṇu, with kīrtan and Viṣṇu-kathā. Then he would give fabulous wealth to all the attendees, with utmost respect. Instead of offering the wealth into a fire, he was offering it to his citizens. What is the point of a fire, anyway? The fire is a way of removing something from our world and transferring it to a different state/world. (Fire transforms matter into energy). So fire is a bridge, symbolically, from humanity to the gods. Sacrificing something into a fire is like giving it in charity to a god. Dhruva’s idea, however, was to give it more directly to god by giving it to people. 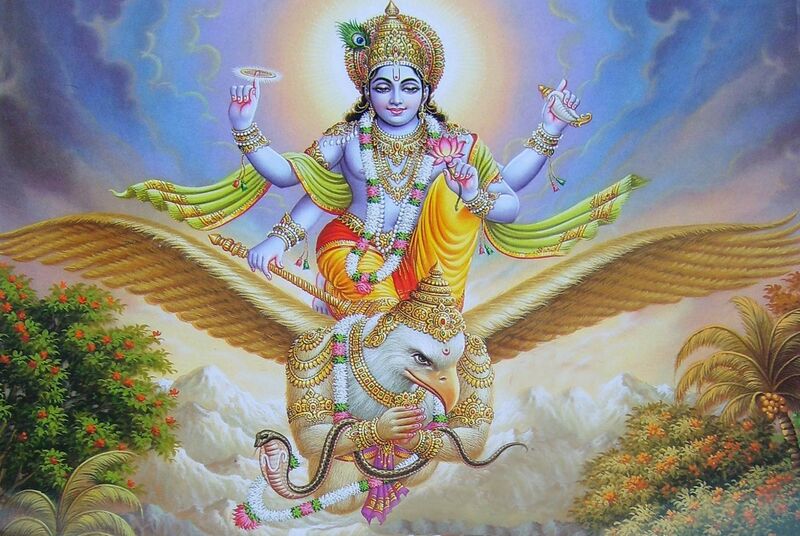 Kuvera had previously explained to him (texts 5 and 6) that Viṣṇu is the essence of all beings. So, by offering his service and wealth to his citizens (or whomever happened to attend his festivals) he was directly sacrificing his enormous wealth to Viṣṇu. The result of this practice, is that he actually was able to see Viṣṇu in everyone.